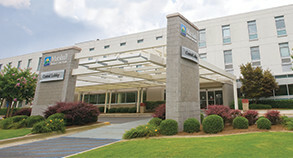 Marshall Medical Centers and you — the power of two. Volunteering is a very powerful way for you to touch the lives of others - and bring a sense of accomplishment and unity to your own life. Marshall Medical Centers provides many volunteer opportunities that offer hands-on patient contact, as well as non-patient contact areas of service. The fact is, there are as many different volunteer opportunities as there are people with different interests, skills and talents. 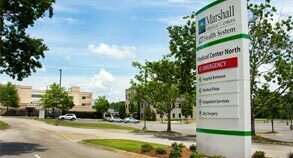 Below you will find listings of some of the volunteer opportunities available at Marshall Medical Centers. If you would like to explore the possibilities of becoming a volunteer, contact us. This group is devoted exclusively to providing meaningful assistance to Marshall Medical Centers North and South. This program provides young people with an opportunity to learn first hand about medical careers and to be of genuine community service. Opportunities are coordinated around school and summer schedules. Encourage a young person you know to become a Junior Volunteer! A group of volunteers called Angels for Special Patients provides relief to families by sitting with hospital patients of any age. Sometimes the stress of having a family member hospitalized can take a toll on caregivers. These volunteers offer their time to provide relief to family members.